Workshops in France is organized by The Art Engine, a resource organization for visual artists. Our mission to bring artists together in wonderful destinations to be inspired by their surroundings and the creativity that comes from working in small enrichment groups. Workshop retreats are designed to provide guests with an ideal environment for creating art while enjoying themselves to the fullest. The South of France was selected for its fantastic weather, sensational scenery, rich tapestry of historical towns and villages, not to mention the cuisine and wines of one of France’s most abundant regions. The life of the working artist can be a very solitary experience confined to a lonely studio and Workshops in France was conceived to fill this void with a highly enriching experience that leaves you with lasting memories and lifelong friendships. The workshop is led by Julie Snyder, an experienced traveler who works tirelessly to make each experience exceptional for guests. She is passionate about art, exploring new places and sharing these opportunities with fellow artists. A native of Scotland, Snyder was encouraged to pursue art by her artist-mother and a writer-father. She studied at the Glasgow School of Art. Snyder’s artistic career has spanned both sides of the Atlantic with several years living in Southern Spain. She forged her craft as an illustrator in advertising, publishing and the motion picture industry. Her work hangs in collections and galleries across the U.S. and Europe. The National Art Museum of Sport honored her three times, including her paintings in exhibits and awarding her the prestigious gold medal for painting in 2013 for her painting “Daily Drill”. Her painting, “Blinn House Kitchen Chefs” hung in Contemporary Masters | Artistic Eden exhibition at the Pasadena Museum of History. 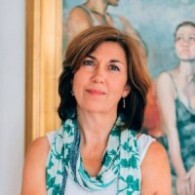 She has exhibited with The Oil Painters of America at the Waterhouse Gallery, Santa Barbara; and the Howard/Mandeville Gallery in Washington; Addison Art Gallery in Massachusetts, The Boston International Fine Arts Show, Silvana Gallery’s International Salon of Figurative Art and with the California Art Club. Snyder is a passionate advocate for the arts. She spent years working in promotion and marketing and now uses her experience to promote the arts. She is a program coordinator for The Art Engine, and frequently presents at seminars for art marketing and art collecting workshops with DanielakFineArt. Find Your Perfect Workshop Retreat!